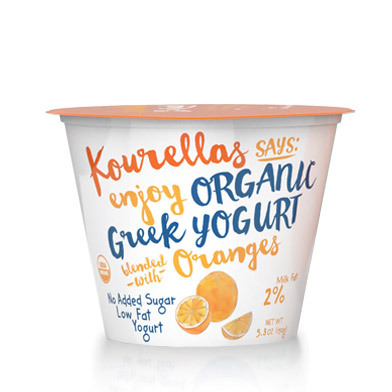 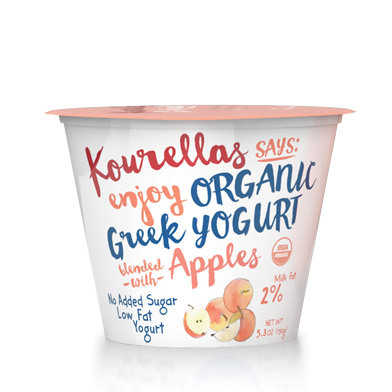 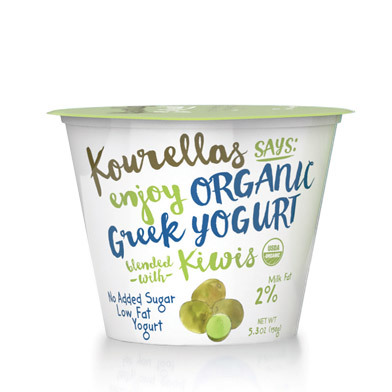 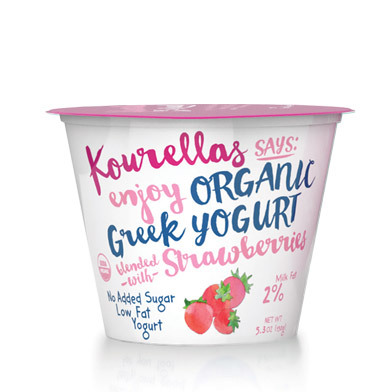 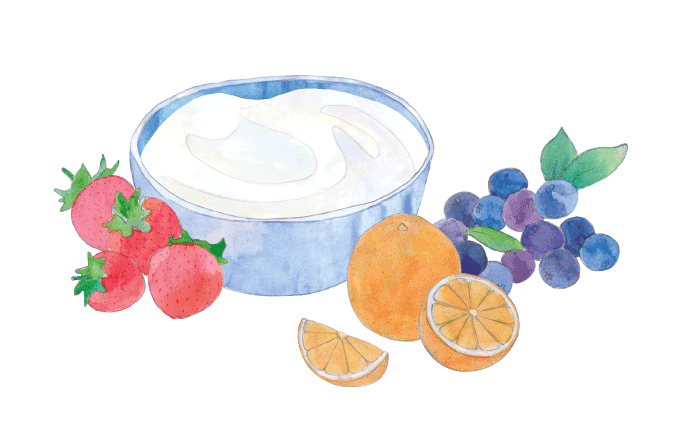 Our organic yogurt is made with nothing but nature’s finest ingredients. 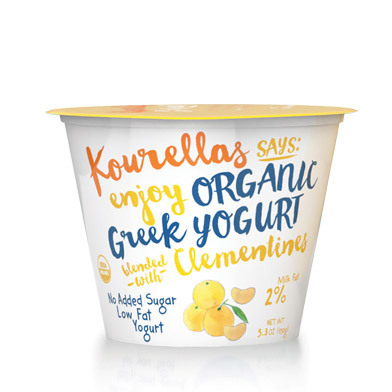 No artificial sweeteners, stabilizers, colorings, or flavors. 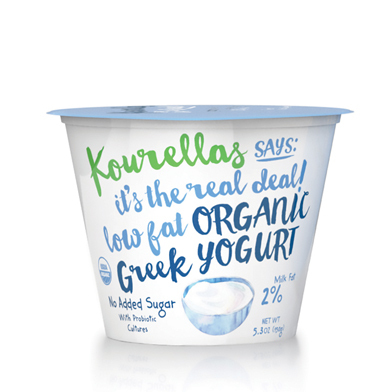 Just pure Greek goodness, made to a Kourellas family recipe handed down through generations. 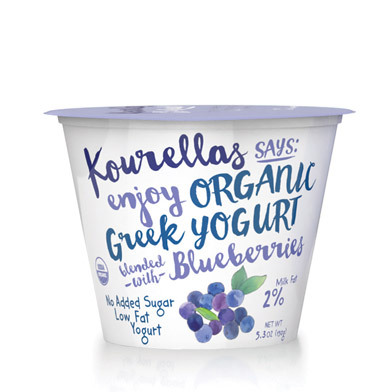 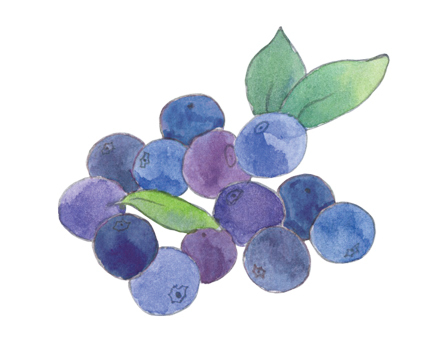 Packed with fresh plump blueberries, our yogurt is strained the traditional way, so it’s extra thick and creamy. 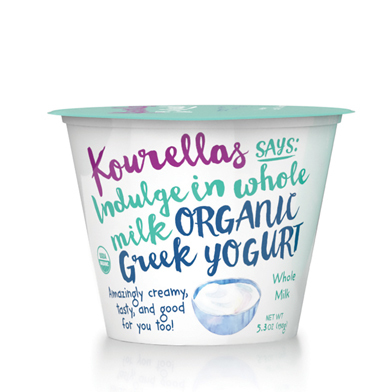 Ingredients: Pasteurized low fat organic milk, Live & active cultures (L. Bulgaricus, S. Thermophilus, L. Acidophilus, Bifidus, L. Casei), Fresh organic blueberries, Concentrated organic grape juice.